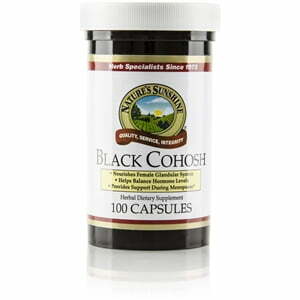 Traditionally used to support the female reproductive system, black cohosh balances female hormones to alleviate menstrual and premenstrual symptoms as well as menopause symptoms. 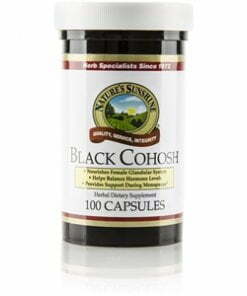 Additionally, Nature’s Sunshine Black Cohosh may relax muscle spasms associated with the menstrual cycle. Instructions: Take one capsule with a meal twice daily. For best results, use with Vitamin E.